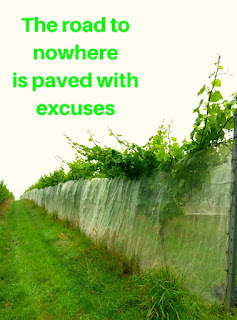 A Happy Healthy Mummy: What's your excuse? It's all too easy to think we don't have the time, energy or money to stay fit and well. And as the weather gets cooler and the sunshine dwindles it's not uncommon to loose all the motivation you had just a few months ago when the beach beckoned and it was BBQ and salad season. If you've lost your way lately, perhaps you recognise some of these classic excuses? Hard times call for decent food and a healthy outlet. A workout will help you focus on something other than your problems and release some feel-good chemicals in your brain. The right food will provide the long-term energy you need too. And there's nothing more stressful than seeing all your previous hard work go to waste because you've let a situation beyond your control steer you off course. It takes too long to cook healthily - processed food is quicker. Boil the veg, blend the veg! Really? You're going with this one? Well, nobody has time for that kind of talk! Not all fast food is junk food. 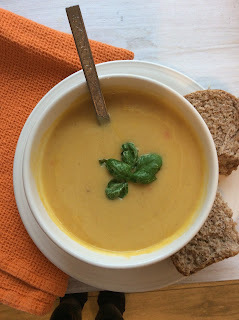 Think boiled eggs and wholemeal toast, homemade soup or baked beans. It's easy to forget just how quick some nutritious foods can be to prepare - even making your own hummus or popcorn is easy-peasy if you keep your cupboards stocked. And decent food will give you the energy boost you're lacking. Well, there's one born every minute - and it seems they all work in your office and want you to join in their fun and eat the cakes. Which would be great if it wasn't Every. Single. Day. Sadly if it happens all the time, it's not really a special occasion anymore. If you can't say no (either for willpower or rudeness reasons), opt for a small slice of cake - and take time to enjoy it. And then remember that you've had your treat for the day, so no wolfing down another piece when you get the inevitable post-sugar- high slump mid afternoon! If you really don't fancy the bun run that day, make sure you've had your lunch before someone offers you a bite - and just be polite but firm. I'm being 'tidy' by cleaning this up. Or do you mean hoovering????! It's difficult if you don't like to see food go to waste to scrape leftovers into the bin, or throw away the remains of a takeaway. Sometimes this excuse even extends to having the last two biscuits in the packet, so that you're not just left with one (it would be lonely - am I right??). But in all honesty, if you eat all this lot on top of your usual meals and snacks, you'll look far from tidy when you pull on your jeans...! Let's be honest here, there are 24 hours in a day, and if you really want to, you can incorporate a half hour HIT workout in there somewhere. 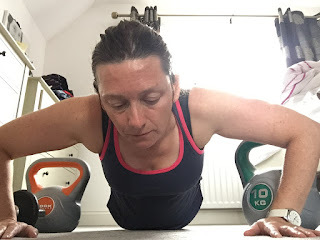 If you can't make it to the gym - or have young children that can't be left alone, look into home workouts - everything from DVDs to turbo trainers to hook a bike up to - and workout while they nap (or watch CBeebies!). Team up with like-minded friends and switch children so you can both get some 'healthy me' time. Maybe you could put in some lengths while your kids are at swimming lessons, maybe you can jog with your buggy, or power walk or cycle to work. For some people an early morning workout is the perfect solution - done and dusted before the day starts and things get complicated. The Department of Health says to stay healthy, adults aged 19-64 should be active daily and do at least 150 minutes of moderate aerobic activity such as cycling or fast walking every week, and strength exercises on two or more days a week. So, what's your favourite excuse for not staying healthy? Is it one of the ones mentioned above - or do you have something more creative? Let me know in the comment box below and we can try to find an answer...! 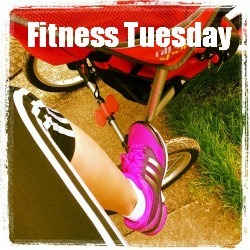 Thanks for joining #FitnessTuesday! Love this post and think that many can find a reason why not to stay healthy or exercise. It's easy to sit on my bum and do nothing, but that's not for me. Hope this post will get a few couch potatoes on their toes! It's been a popular post so I'm guessing we all have that voice in our head - and that we all wrestle with it too!!! Hi Morgan - yep, we all get those days! It's definitely harder as winter approaches. Imagine if we didn't have sofas - would we do more - or would we just lie on the floor instead???!!!!! Thanks for keeping us on track, Vanessa! We have just installed an exercise bike in the basement so that we can work out while listening to the kids doing music practice! Kills two birds with one stone. 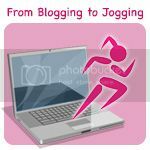 Yep, you definitely need some equipment, weights or DVDs at home when you have kids - as there's not always the chance to sneak off for a run or to the gym. There's a really good online yoga subscription service I'm planning on featuring soon - you can pick and choose your classes - following the online demo at home anytime you want to.